You may have seen that we’re on the lookout for a new roto-moulding machine for our factory floor here at Excelsior. Right now, though, we’re taking a moment to introduce another valuable addition to our company: we’re thrilled to welcome Tony Brierley on board as our new Facilities Manager. Tony impressed us from the get-go with his extensive electrical and engineering experience, honed through a varied and colourful career spanning the last few decades. He also has a keen eye for details – when interviewing he demonstrated an enviable ability to spot developing problems, quickly suggesting ways they could be dealt with before they became proper obstacles. A remarkable skill in its own right, those sort of talents suited us down to the ground, as the Facilities Manager role is quite a broad one. 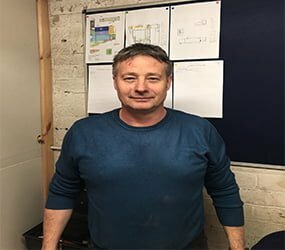 Although Tony’s remit will be mainly engineering, he’ll also be helping out our employees on the shop floor, handling external contractors, and using his management skills to assist our Operations Management team with site supervision in general. He’s certainly going to have a busy time of it, but we’ve got complete confidence that Tony is the right man for the job. Tony joins an experienced and enthusiastic team at Excelsior, all dedicated to helping your plastic product ideas becoming a reality, and meeting your delivery times and quality expectations. Give us a call on 0161 765 2010 or check out our contract moulding page to find out how to get started.